Celtic have been walking to the league title in the last few seasons, since the demise of Rangers to the bottom of the Scottish football, but it has not been a similar story in Europe. The Scottish outfit have had a week to prepare for the match against Inter. After a stuttering start to the second half of the season, Roberto Mancini has guided the club to 2 successive victories in the league. Hence, they will be relatively confident about getting a result away from home. Deila, though, will stress the importance of home advantage in the first leg. Celtic’s poor record away from home in Europe is a cause of concern and they need to get any advantage in the tie in front of their own supporters. "For us it will be the game of the season, we’re playing against a great opponent. I remember the European Cup final of 1967; times have changed but we maintain the spirit of that team." Delia said. "We have to make the most of the game at home. We play in front of 60,000 fans, that’s one of our strengths. Inter are a great team at the European level, they know the psychological ups and downs [of playing at that level]. In Scotland we want to win on all fronts. 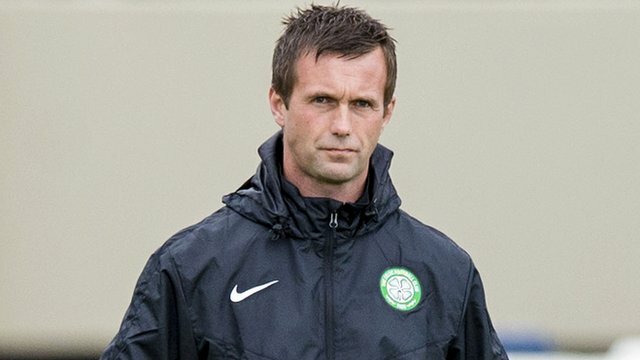 In Europe, we will try to go as far as we can,” said Deila.